'+/-5 EV in 1/3 or 1/2 stop increments (can be combined with AEB). AWB, Daylight, Shade, Cloudy, Tungsten, White Fluorescent light, Flash, Custom. Selectable Blue/Amber bias or Magenta/Green bias. Yes, with Depth of Field preview button. Real-time evaluative metering with image sensor. Evaluative metering (315 zone), partial metering (10% of the Live View screen), spot metering (2.7% of the Live View screen), center-weighted average metering. MP4 (Video: H.264 (standard or lightweight: IPB), Sound: AAC, recording level can be manually adjusted by user). with 50mm lens at infinity, -1m-1 dpt. Quoted burst rate is based on tests using a UHS-I memory card, with Canon's testing conditions, ISO 100, Standard Picture Style. 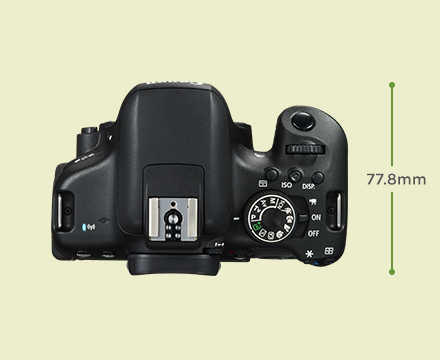 Maximum fps and buffer capacity may be reduced depending on the cameras settings and light level Speed can vary depending on the subject, memory card brand and capacity, image recording quality, ISO speed, drive mode, Picture Style, Custom functions etc. Based on the CIPA Standard and using the batteries and memory card format supplied with the camera, except where indicated. Keep your NFC enabled devices and contactless payment cards separate. This function is intended for Canon cameras and camcorders featuring an NFC function supporting the Connect Station. Images stored in a folder compliant with the DCIM or AVCHD folder structure are imported. Compatible with Canon cameras and camcorders released in 2010 and later. Some features require a CANON iMAGE GATEWAY account. CANON iMAGE GATEWAY may not be supported in some countries or regions. Please visit www.canon-europe.com/cig for more information. Connected using PTP (Picture Transfer Protocol). 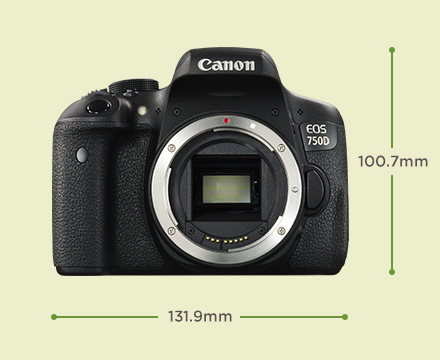 Compatible with Canon cameras and camcorders released in 2010 and later. PictBridge (wireless LAN) compatible printer. Wi-Fi use may be restricted in certain countries or regions. Wi-Fi support varies by device and region.